Audioboom / Which F1 Driver Goes Where In 2017? The silly season of F1 is upon us. Big question is, which driver will go where? Will Kimi Raikkonen retain his Ferrari seat? Fernando Alonso won’t reunite with Ferrari, he’s clear about his relationship goals with them. And how long before Alonso signs up for Chip Ganassi Racing? Is Mercedes feeling peer pressure to push their young driver Pascal Wehrlein? Or is Nico Rosberg secure for 2017? If Felipe Massa doesn’t get an extension, perhaps his best retirement option would be to only groom his son for F1, inspired by Jos Verstappen! Sainz, Bottas, Button, Perez, Hulkenberg and Grosjean – plenty of drivers sniffing around for an upgraded cockpit. Pastor Maldonado doesn’t look like he’s going to get a drive, which explains why he’s been practicing being pit crew instead. Is he paying off a team to hire him as one for '17? There is lots to look forward to at the upcoming Canadian Grand Pix. The last time Ferrari won here was 2004 – when Max Verstappen was only six years old! 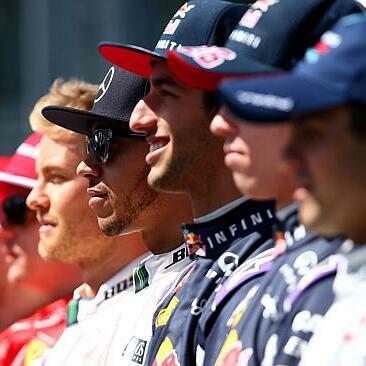 Irrespective of which Mercedes driver emerges on top, we that predict Justin Bieber will definitely be on the podium. Perhaps Max Verstappen will crash into the wall of champions just to prove a point (though if anyone needs to prove that point, it’s Rosberg). Tune in!